Wota in Translation » If “Cutest Two-Shot Taken With a Deer” was an Olympic sport, Miyabi would easily be the world champion! What the hell kind of a championship is that? Yep. Seeing this, there’s no doubt she’d be the champ. This was way cuter than I expected. 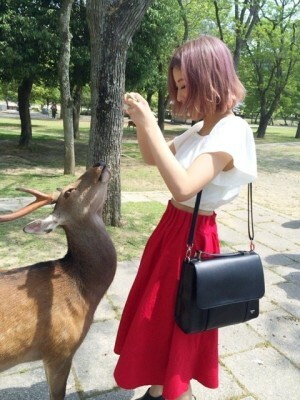 Has there ever been another idol who looks as cute as Miyabi when feeding a deer some rice crackers?! Huh. 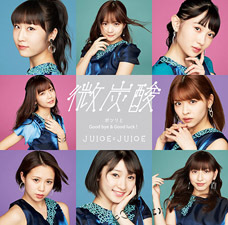 That’s surprisingly high quality. Is she not afraid of deers? 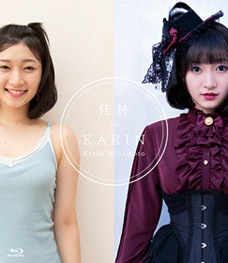 I thought I was looking at a Disney princess before you guys told me it was Miyabi. 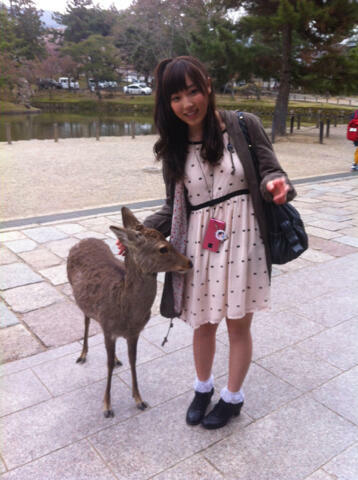 Pretty much the only other people who could become this friendly with a deer are Snow White and Mutsugorou-san. Miyabi-chan’s cuteness makes even the deer look cute. Her left hand gets 200 points for cuteness. Was she always this skinny? 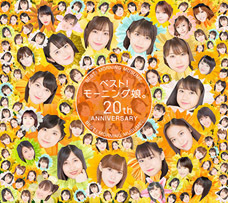 Looks like Miyabi-chan is really popular. She looks like the Girl of the Alps. 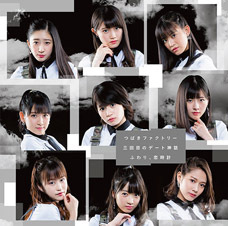 Seeing this picture makes you appreciate just how amazing Miyabi-chan is. I wonder why they’re so different? Everything about this picture is off. Her clothes, first and foremost. 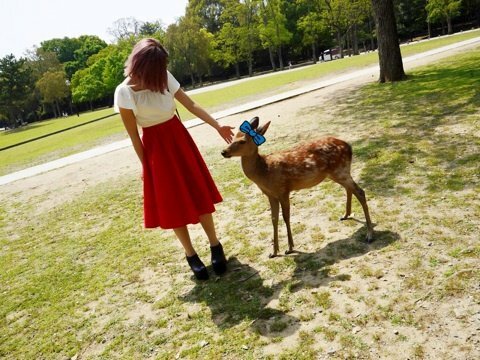 Saki-chan isn’t even even playing with the deer. Those are the feet of an old man on his day off. 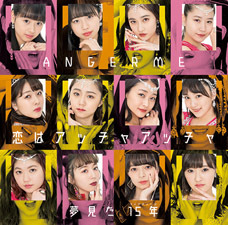 The deer don’t have any interest in Shakitamu. Miyabi-chan’s conduct and her gestures are so elegant, even with her flashy appearance she never looks anything less than perfect.. Her facial expression, too. When she smiles, the corners of her mouth rise up just right. caught in pictures with another hunk! Miyabi-chan is like the Heidi of Japan! There is reason to believe that this is the same perpetrator. He’s taken a keen interest to the contents of Fuku-chan’s skirt. 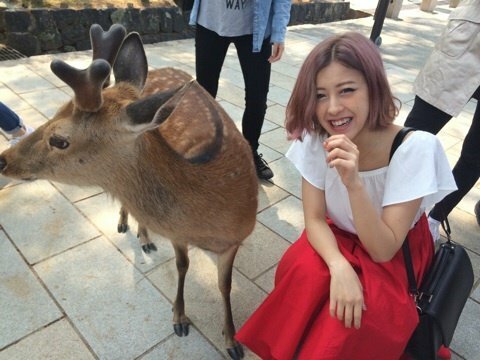 I can picture Miyabi-chan riding that deer. 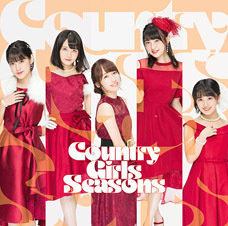 I’m so used to seeing Risako and Maasa, seeing Miyabi-chan’s waist here really scared me. Her heart is so pure, she was even able to fall in love with a dolphin. Her ex-boyfriend was a dolphin and now she gets herself a deer… Miyabi-chan’s amazing. I want to become a deer. Henkka: Here you go. It’s a bit pricy, but hey: it’s an investment. Yeah cute.. Until the deer tries to mount her..
Miyabi is elegant even on off days! 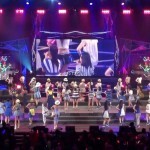 aaww they should make the whole day into dvd magazine..
Strap Momo on top the deer and watch her perform deer rodeo.